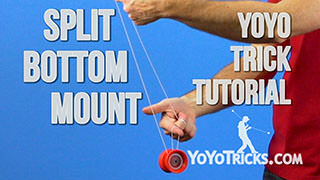 Learn The Breakaway Throw yoyo trick. Now as you can see, the Breakaway is just another throw. 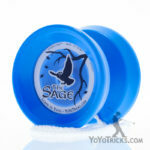 This is the throw that you use to get into your side mount tricks like Man on the Flying Trapeze. 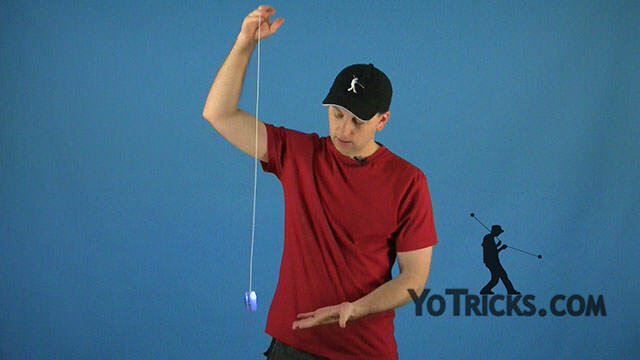 This throw can cause you a lot of trouble at the beginning, so I am going to give you as many tips as possible to help you to get it work right. 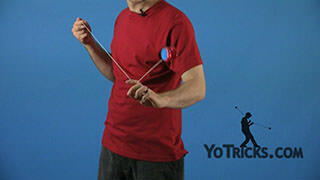 One thing that some players do is they want to cheat it because the do not like learning this throw. 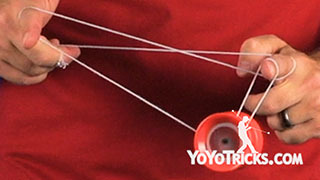 So instead they will turn to the inside like this and then get the yoyo onto the string. 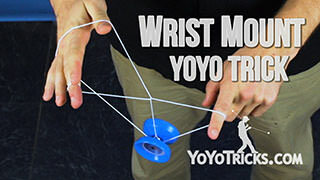 You do not want to do that because that causes the yoyo to spin backwards, which will make a lot of your tricks harder, and it will just make things more tricky in general. So be patient with yourself. This will take a little bit of time, but once you get it, it is way better. So the easiest way to do the Breakaway would be to just hold the yoyo in your hand the normal way, turn off to the side, and do a normal throw, but instead of just a normal throw, you want to swing it across your body. If you do that, that will set you up for your side mount tricks. 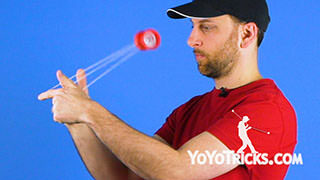 But the thing is that, almost no yoyoers actually do the Breakaway that way. Most of the time, they do not turn their body, they are just standing straight and they get the throw to work. But how do they do that? 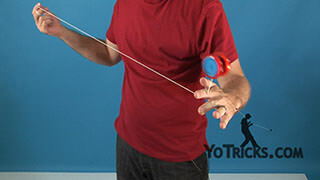 So the first thing that you want to do to get a proper breakaway throw, is you just want to find a way to hold the yoyo so that it is parallel to your body. It almost does not even matter how you hold it. You could hold it like this, almost like a doorknob. Sometimes I hold it in my palm like this. 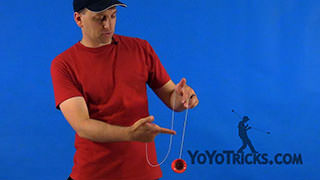 A lot of yoyoers, what they do is they have the normal throw and then they turn their whole arm inward and you can see that makes it parallel to your body. 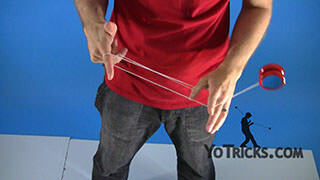 If you want to get into 5A, you could always try sticking your thumb into the groove like you would for a 5A throw. Then throw it this way. You can see that is all so parallel. It really just does not matter how you hold it, as long as you are orienting it right. 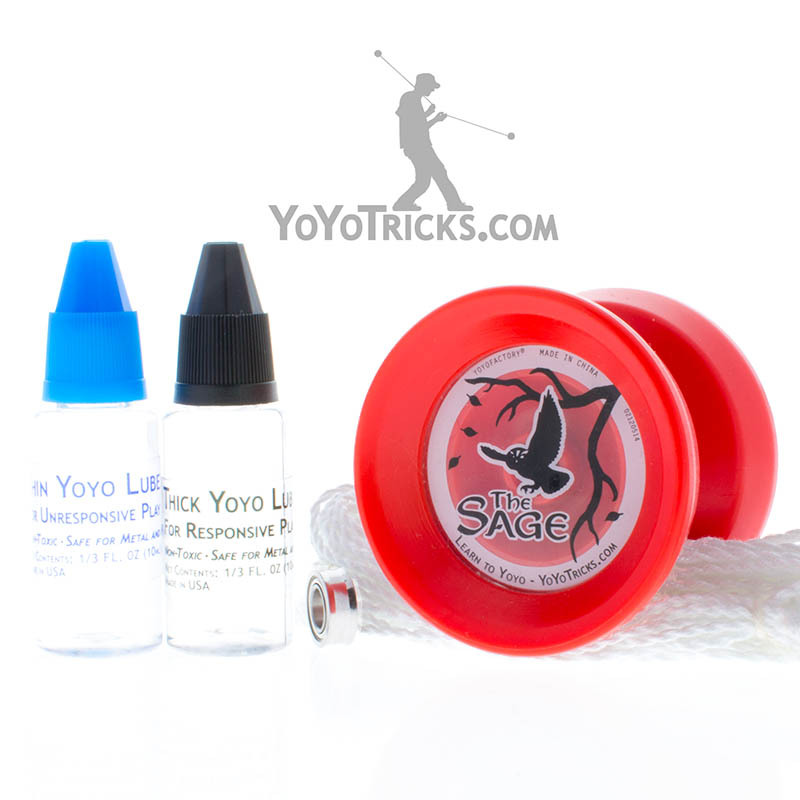 The key to making this trick work is not the release, it is what you do after the release. As you saw, that time, I was not even holding it in this hand, I just held it in my other hand, it is oriented properly, and then I can still get a proper Breakaway throw. 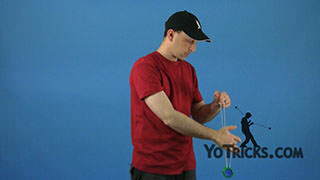 So in order to get the throw to work, if it is not the release, it is that motion that you make with your yoyo hand. 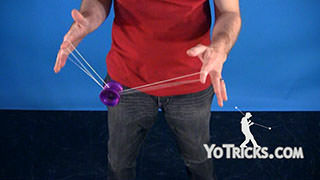 If you just look at that motion, you can see it is almost like a J shape that you make to swing the yoyo over. But if you need, kind of an image to think about while you are doing it, what I like to tell people is just imagine that there is a nail right there, and you have got a hammer in your hand, and what you want to do is, you want to hammer that nail. That achieves two things. 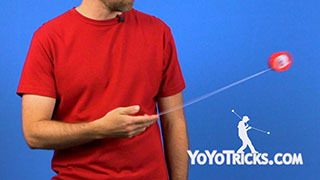 It gets the motion of your hand right, but it also gets you the kind of power that you want out of this throw, because you want a really powerful Breakaway so that you can get into all the more advanced string tricks. Again, you do not want to stop right where the nail is, you kind of want to go through it a little bit. That will all just take some practice. 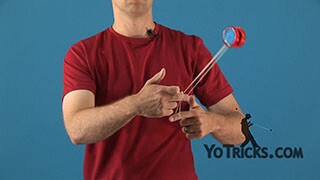 You may want to try practicing with it outside of your hand. Again, just hit that nail, see how that goes. You might have also noticed that sometimes I go into an Around the World. That is because the throw can be so fast that you want to give it some time so that the spin can die before it comes back to your hand. 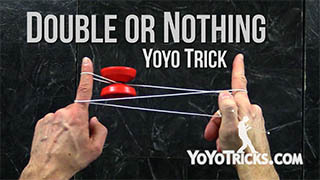 Another thing that we would recommend working on as you do this, is you can just practice some of your tricks. 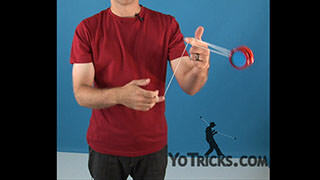 So as your are learning the Breakaway at first, sometimes the yoyo is going to be really crooked. It will lean, it will almost feel like it is going all over the place. 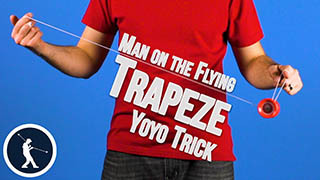 What you can do is you can work on your trapeze. 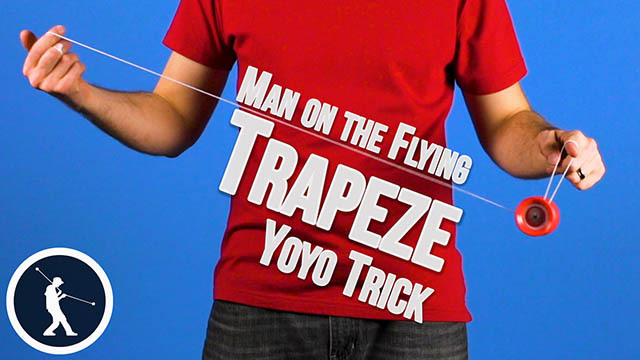 If you look at our trapeze video, we teach you how to correct lean and tilt in the yoyo. That way, even if you have, kind of a poor Breakaway throw, you can still start to learn tricks. 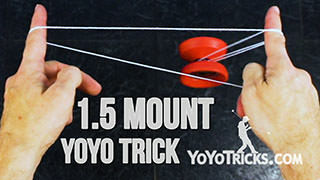 One last thing, just to take note of as you are putting all this together is, just like your normal throw, no matter how you hold it, you want to make sure the string is going from your finger over the top of the yoyo. As long as that is happening and you can just focus on that proper motion, keep everything lined up, and you should be able to hit your Breakaway no problem, with some practice. 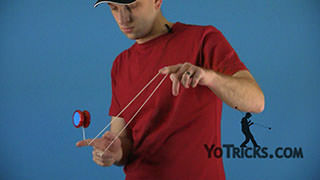 Of course, if you do have an unresponsive yoyo, the yoyo is not going to come back to your hand when it gets up here. 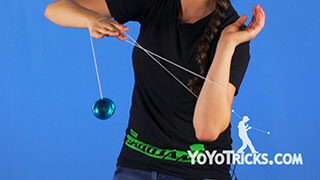 So you can also do your full Around the World and then stop the yoyo right in front of you. 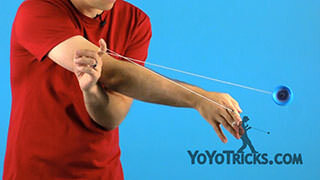 Then perform whatever Bind maneuver you have learned. 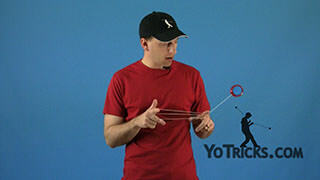 If you do not know any binds yet, definitely check out our Bind Video. That will help you out with that as well. But that is it, that is the Breakaway.